A crowd of mime-looking familiars. One of the dancing familiars with a cosmic purple-blue pattern on them. 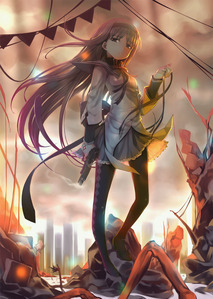 Homura's high heels as she continues to walk towards the witch.